Airports can be exciting places – the hustle and bustle of holidaymakers and the excitement about their forthcoming journeys. Travelling with kids can be fun if you’re prepared in advance and pack for the journey as well as the destination. Airlines are becoming more and more rigid over baggage allowances, I’ve seen Ryanair staff religiously check everone’s bags fit into a box before letting them on the plane – and if not, they were charged the £70 supplement. Ouch. All airlines will have guidelines on not only the weight of the luggage but, for hand luggage, the actual dimensions too – this isn’t a voluntary code but will cost you dearly if you go over. Also be aware that liquids over 100ml are not allowed in hand luggage. This is the size of the container not the amount left in it, and anything over that will be confiscated. Any liquids in your hand luggage will need to be placed together in a small plastic bag – it’s worth doing this as you pack to save messing around at security. The reason airlines recommend you check in 2 hours before departure is because it’s often needed. By the time you find the relevant desks / gates/ and have joined the queues for security, there’s often just enough time for a coffee before you’re heading to the gate. Reduce the time, increase the stress. Not recommended unless you want to be the name that’s being shouted out over the tannoy whilst you run like a whirling dervish to the gates. We have known people be refused boarding because they’ve checked in too late – it can and does happen. Not worth risking your holiday for! Pack for the travel as well as the destination. At the airport there are 3 essential steps – checking in, going through security and boarding the plane. At each of these you’ll be expected to show your passports and / or your boarding passes or tickets. Rather than tuck these away deep in a folder in your bag, it can be much easier if you’ve got them close to hand and accessible – a neck purse may not be the trendiest accessory on the planet but they have their uses. When travelling with kids you’ve enough to think about without having to keep an eye on lots of hand luggage. Where possible I prefer to travel with just a handbag and book so there’s less to worry about or try to squeeze in an overhead locker. Airports can be huge places and the last thing you want to do is to struggle carrying your luggage whilst you find your check in desk, or indeed once you’ve picked up your cases and are heading towards your transfer. 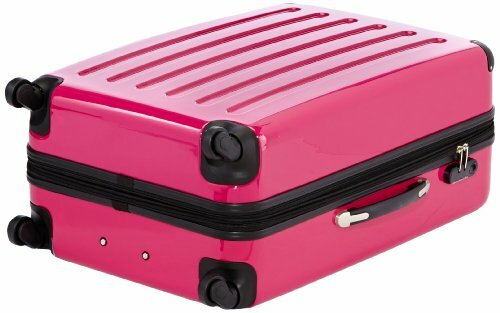 Decent suitcases can be a good investment, not only do they tend to last longer than supermarket buys, but 4 wheels make it much easier to push or pull your case – even the heaviest of cases can be easily manoeuvred by children. Stand at an airport conveyor belt and count the black cases – all very similar in size and shape, and so easy for someone to mistake yours for theirs, leaving you facing a holiday minus your clothes. Make your case stand out by either choosing something bright, or by tying something bright and easily identifiable around the handle (we use a bright spotty sock). It makes it easier to spot when it comes on the belt, and less likely to disappear off on someone else’s holiday. Make sure you’ve a label with your name and address inside and outside just in case it does go astray, this will increase the chances of it finding you. A necessary evil but a reassuring one. That’s what I remind myself as I have to empty my pockets, take off my belt and remove my electronics from my bag after joining a long queue to do so. Tiresome yes, timely too but apart from wandering through naked, there’s little you can do to speed this part up. Just grin and bear it. It’s common for some airlines not to allocate seats upon check in, but instead let holidaymakers simply choose these once on the plane – a little like on a bus. This of course ends up in mad rushes to the flight, and stress if you’re trying to find seats together. Try and make sure you’re at the front of the queue for this, and it’s worth paying for Speedy Boarding (Easy Jet) or Priority Boarding (Ryanair) if seats aren’t pre-allocated. Whether this practice continues remains to be seen as both airlines have started introducing allocated seats for a premium. Unfortunately the days of on board entertainment on short flights seems to have gone and you won’t have a film en route unless you’re heading across the continents. Whilst the whole excitement of the journey will amuse the kids for a short while, there’s only so much cloud watching you can do before the “are-we-nearly-there-yet?” choruses begin. As much as I hate keeping the kids quiet with technology, this is definitely one of those places where it’s not only forgivable, but probably quite wise too to kill an hour or so. There’s usually enough games on a Nintendo or iPad to eke out the journey without too much ado, hopefully giving you the chance to read in the interim (remember that?) Alternatively a comic or colouring in book or a little travel game can help fill in the gap. My kids learned to play cards on a flight. 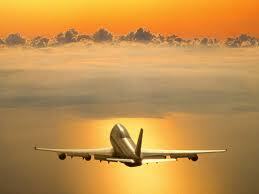 Most short haul flights don’t include meals as standard and the food served is rarely worth the supplements. Any food bought in the airport (AFTER) you’ve been through security, does not count as hand luggage. Boots usually have a reasonably priced meal deal on offer, it’s also worth stocking up with water for the journey too, flights can be dehydrating. Easy? It can be! Now what are you waiting for ?